A brand new casino on the New Jersey shores, Scores Casino needs to stand out from the crowd and it does just that with its bonuses and welcome promotions. Specifically aimed at new players, Scores Casino offers a welcome bonus through the use of a specific bonus code that players must input when initially creating their player account. Putting the code BONUSSEEKER in during the signup process will reward players with $25 and there is no deposit required. This bonus is broken down into a number of different sections which will be outlined below and does come along with some wagering requirements of 20 times, that must be fulfilled if any winnings are to be withdrawn by the player. As mentioned, the signup bonus is rather a lucrative one. The $25 that is awarded upon signing up is split up into sections with $10 able to be used as a casino bonus, $15 on bingo tickets and the last $5 as the simple registration bonus. There is also a free spin awarded on the Million Dollar Slot machine which will pay out in casino dollars unless the player manages to hit the million dollar jackpot. All of the bonuses are subjected to a 20 times wagering requirement. The bingo bonus can be used on any of the bingo games found on the casino site, though it must be used within 30 days of receipt otherwise it will expire. Once players have utilized the exciting free welcome bonus that Scores generously offers, they will then need to make a first deposit if they wish to keep on playing. However, this too comes with a bonus in order to increase the player's winning potential. The casino offers a 100% match deposit bonus on any first deposit up to the value of $500. There is a wagering requirement of 20 times attached to this bonus which must be fulfilled if players wish to withdraw any of the winnings they make. Playing the slot games will contribute 100% to the wagering requirement whilst playing any of the table games will only contribute 20% making this a much slower way to reach the goal. As with a number of the New Jersey casinos, Scores uses its own proprietary software from Pala Casino to run its games. 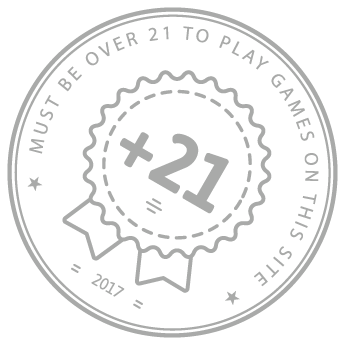 The site also makes use of software from NYX Gaming, IGT and NextGen, allowing them to offer over 200 different games to its players. This partnership has allowed this relatively new and small casino to manage to keep up with their larger competitors in New Jersey. Through this software, players can either connect via a desktop or connect through a mobile app. The browser-based version supports most of the commonly used browsers including Safari, Firefox, Chrome, and Internet Explorer whilst users of Macs or Windows have equal access and compatibility allowing them to be able to play all the games on offer. The casino doesn't skimp on allowing players the luxury of accessing their games while on the move. A more condensed version of their site is available to players in mobile format and is compatible with both Apple and Android devices. For the Android version of the site, players can simply access the link through the online site itself. Apple users will have to go to the iTunes store in order to find the Scores casino app and download it from there. The app itself contains over 100 of the games found on the desktop version, including a number of slots, virtual table games, and much more. All games have been optimized for use on a mobile device ensuring a high-quality gaming experience. Scores Casino actually exists under the rather large umbrella of Borgata Hotel and Casino and shares the same gambling license. Because of this, the site, which was only launched in 2017, also operates alongside playMGM casino and some other poker sites, all of which come under the same Borgata gaming license. Now Borgata has a collection of nine different sites including Poker, Casino and Bingo under its one license. The Pala Casino software is also part of this group which is why Scores Casino is able to utilize this software easily and efficiently. This partnership is incredibly useful to all partners involved, as it enables each casino site to be more easily reached and advertised through its network partners. Scores Casino offers a plethora of exciting games. There are over 200 different slot games, which is one of the largest collections in New Jersey, many of these are also available on the mobile app. Slot types include the traditional three-reel slots, through to multiple ways to win and even some impressive progressive jackpot options as well. The virtual table game options are also plentiful with Blackjack leading the way with an impressive eight different variants including multiplayer, single hand and side-bet. Roulette, Baccarat, and Craps are also available in various formats. Video poker players have access to a similarly wide collection as there are also eight different games available such as Jacks or Better and Deuces Wild. It's all very well to have an enticing welcome bonus, but the real key to success is in keeping the players coming back. Scores does this by offering an exciting VIP program - Scores Privileges. Players can join automatically where they will start earning status points through playing real money games. As the status points increase, players will then start to collect reward points. These points can be exchanged for various rewards as players reach the required value amount. The rate of exchange is 5000 reward points for a single dollar. Bonuses get awarded automatically when players reach a milestone and these rewards will increase as players move up through the various reward levels. Bonuses have a one-time wagering requirement and must be used within 30 days. There is a wide range of deposit methods on offer from Scores Casino in order to ensure that players can use their preferred method. The site accepts the use of both Visa and MasterCard, as well as a number of eWallets. This option includes PayPal and Neteller. Pay Near Me is also available and can be done at a 7-Eleven. Electronic checks, bank wire transfers and online banking options can also be used though some of these will have slower turn-around times particularly when it comes to the withdrawal process. As is consistent with the online gaming world, Scores Casino will use the same method that the player used to make the deposit for the withdrawal of funds. Efficient and helpful customer support is an important part of running a casino well. With this in mind, Scores Casino offers 24/7 customer support in three different options, which are a live chat function, email, and telephone. The fastest communication method is through the live chat which will see a casino representative answer within a few minutes. Though the email is available around the clock, it usually takes slightly longer to receive a reply but it is better for the more complicated queries. There is a comprehensive FAQ available on the site which should answer all but the very complex issues. Players will find staff in all areas of the support service to be friendly, helpful and above all extremely knowledgeable.